Clifton Ford Frilot went to his heavenly home on Friday, April 12, 2019. He is survived by his wife of 54 years, Dorothy Wilder Frilot; two children and their spouses: Renee Frilot Graf (son-in-law, Rev. Dr. Randall M. Graf) of Metairie, Louisiana and Dr. Clifton Ford Frilot, II (daughter-in-law, Sharon Harris Frilot) of Haughton, Louisiana. He was the loving Papa to Madison Victoria Graf and Jacqueline Lee Frilot. Clif was the son of the late Benny Frilot and Katie-Rachel Fortenberry Frilot, and the stepson of the late Grace Ezell Frilot. He was the caring brother to the late Irma Lee Frilot Exnicios and Robert Frilot; and surviving siblings, Barry Frilot and Ann Frilot Keyes; sister-in-law, Marie Frilot; brothers-in-law, Hugh B. Exnicios, Jr., Danny Keyes, Roger “Pete” Wilder, and Robert “Repete” Wilder. Clif will be fondly remembered by many nieces, nephews, cousins, and friends. 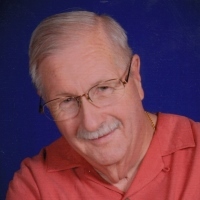 After 46 years of service, he was a retiree of Pellerin Laundry Machinery Sales Company, Inc., where he was vice-president of Customer Service. After retirement, he volunteered at East Jefferson General Hospital. Clif served in the 159th Medical Evacuation Hospital Unit of the Louisiana National Guard. He was a past Commander of Jefferson Post 267 of the American Legion in Jefferson, LA. He was Past Master of Orleans Lodge No. 397 F&AM, Hiram Lodge No. 70 F&AM, and Linn Wood-Ionic Lodge No. 167 F&AM. He served six months as District Deputy Grand Master of the Eighteenth Masonic District of the Grand Lodge of the State of Louisiana and was a member of Farhad Grotto M.O.V.P.E.R. and Past President of the Klown Unit. Clif was also a member of all three York Rite bodies. Clif was a member of Good Shepherd Church in Metairie, LA and was a charter member of the Good Shepherd Church Men’s Club. A Christian Service will be held at Good Shepherd Church, 5122 W. Esplanade Ave. Metairie, LA 70006 officiated by Rev. Dr. Randall M. Graf. Visitation will be held at the church on Tuesday, April 16, 2019 from 6:00 pm – 9:00 pm and on Wednesday, April 17, 2019 from 9:00 am – 11:00 am with a service beginning at 11:00 am. Final resting place will be in Garden of Memories Cemetery, 4900 Airline Drive in Metairie, LA at a later date. In lieu of flowers, donations may be made to Good Shepherd Church, 5122 W. Esplanade Ave. Metairie, LA 70006.